Thank you for supporting White Hat Rally and Barnardo’s. 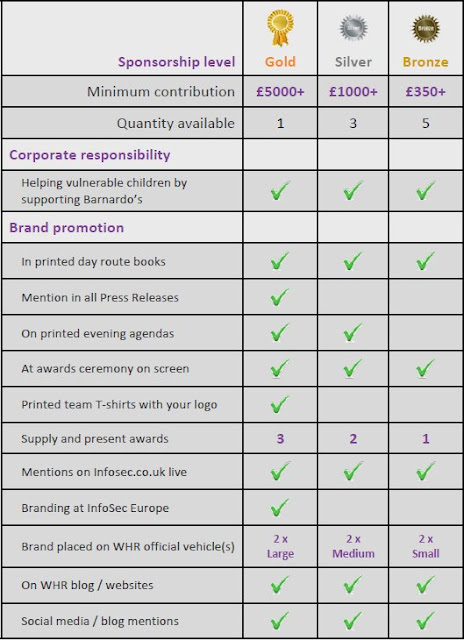 Our 2013 sponsorship packages will soon be available. This is a great opportunity to promote your brand, and to network with the teams during the rally. If you would like to sponsor the 2013 event please contact Gemma on 0207 510 9041 or Stephen on 0776 823 7568.